The LASSIG swimming diaper Viking ensures that baby's skin stays as dry as possible while high-quality materials provide a maximum wearing comfort at the same time. 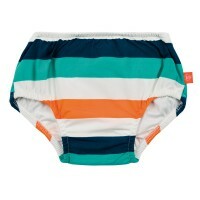 Product information "Swim Diaper Boys , Viking"
Swim with LASSIG. 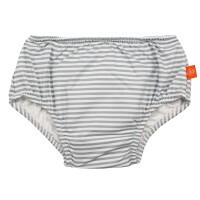 Our integrated swim diaper features an innovative moisture-absorbent lining and padding system which traps moisture in the inner lining and directly transports it outward over a large area so that baby’s skin stays as dry as possible. Maximum wearing comfort is ensured by high-quality materials, seamless fashioning in the seat area, and a perfect fit. This beach fashion also features UV protection of 50+ to help protect baby’s sensitive skin from the sun’s harmful rays. The cheerful designs and colors will capture every little bathing beauty's imagination.